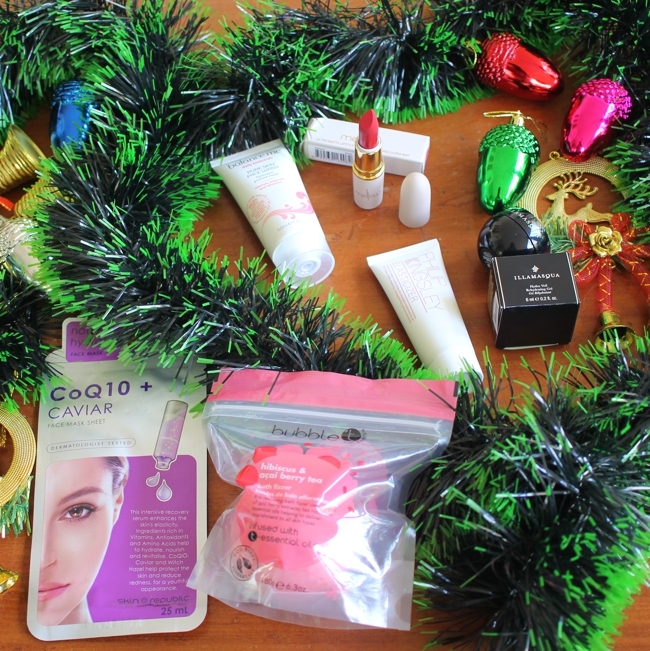 After my November LookFantastic Beauty Box arrived a mere five days post-despatch, the December one crawled its way around the globe, arriving mid-month. Still, a late package is better than a LOST package, I say. 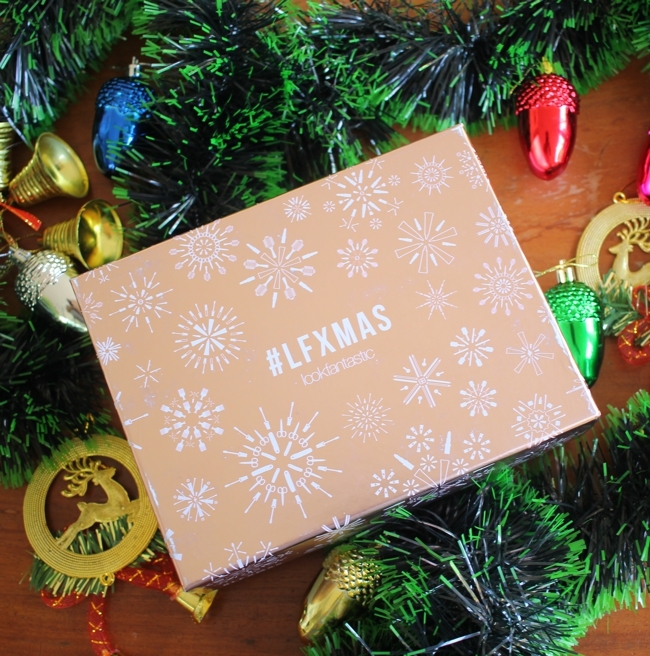 This month's LF Beauty Box is themed #LFXmas, of course. The packaging is rose gold - to match with the gorgeous LookFantastic Advent Calendar 2016, which I had unboxed here. The Elle UK magazine for December 2016 is also included with the box. I hope they continue this well into 2017. 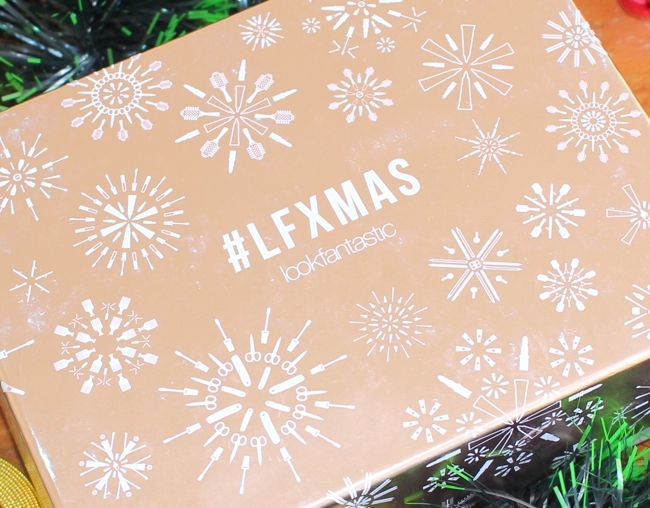 Scroll down for the unboxing and contents of the LookFantastic #LFXmas Beauty Box for December 2016. A close-up shot of the box. The "fireworks" are actually composed of makeup products. The product card is actually a little booklet which contains recipes, DIY suggestions and contests. Elle UK's December issue accompanies this month's box. I'm moving away from mattifying primers, towards hydrating primers, ever since I started using 100% coverage foundations such as Kevyn Aucoin Sensual Skin Enhancer. This one contains Vitamins C and B3, and micro algae. It will hydrate the skin beneath all the makeup. Sounds ideal. Will try it out beneath the SSE and see how it goes. 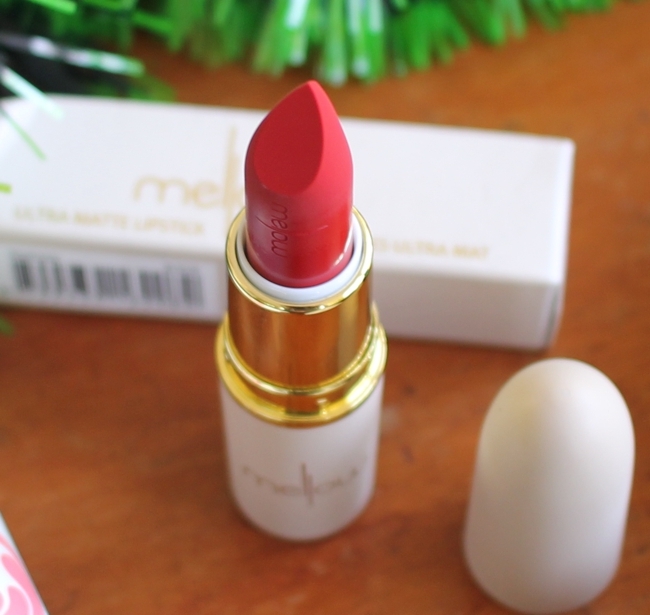 Mellow Cosmetics is a New Zealand brand. The thing about bullet-matte lipsticks is that they are not - USUALLY - as drying as liquid matte lipsticks. The packaging is pretty, and reminds me of MAC lippies. Because the shade I got - Madness - is a proper red, and red lipsticks and I don't get along very well, this will go into an exclusive giveaway for my Instagram followers shortly. 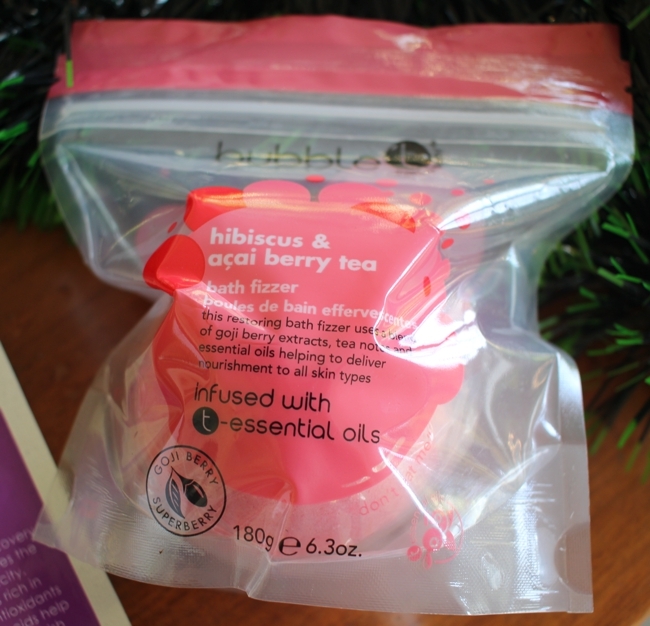 This pretty pink Hibuscus and Acai Berry Tea bath bomb contains Goji Berry and Vitamins C and A, and is free of parabens and SLS. After Christmas, I'm going to take some me-time and relax. This will be dropped into the tub then! I wasn't a huge fan of Balance Me face serums and creams, but liked their hand cream. I suspect it is the use of certain essential oils that my skin did not love. 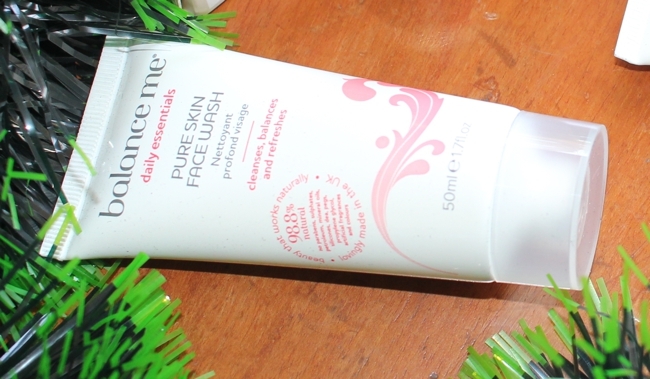 This face wash is for congested and blemished skin and is sulphate-free. It contains grapefruit oil and is supposed to be very gentle. I'll give it a try after the Christmas parties - if it doesn't work, I'll palm it off on a teenage friend who happens to be a face wash-junkie. Ah, an old friend! I love this deep-condish treatment which you apply before shampooing and then rinse off after about half an hour or so, for beautifully soft, voluminous hair. Ever since I cut my hair short, it has turned CURLY, so I need all the moisture I can get. I've already used up a few tubes of these, and welcome getting more - helps put off repurchasing. 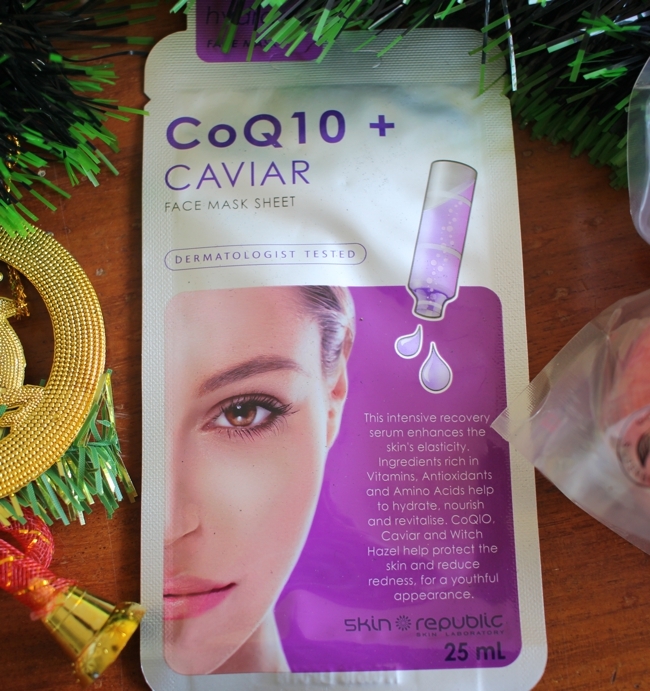 CoQ10 has been making waves in the skincare world. I have used a couple of products with this ingredient and loved them. This sheet mask contains Caviar, witch hazel, and CoQ10. I love me a good sheet mask, and am looking forward to trying this one out. 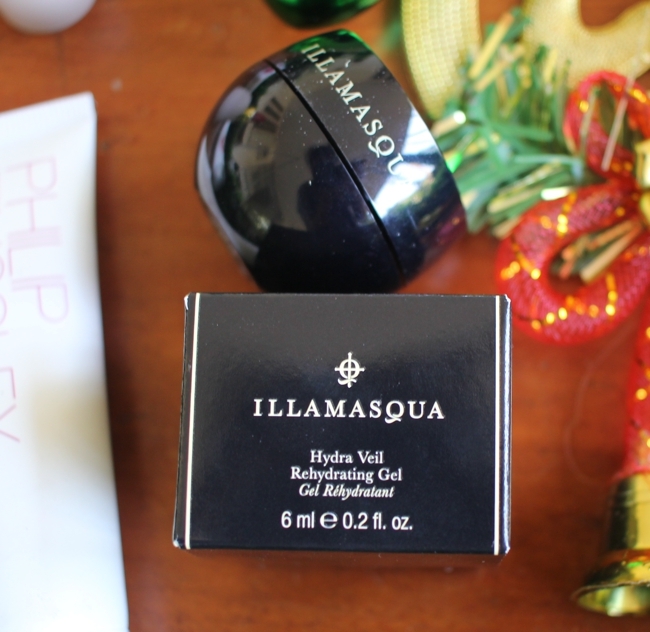 A fabulous box this month, with two makeup products, and three full-sized products. I love that they sent out a rose gold box, and a full-sized lipstick - long may the makeup trend last! I cannot wait to see what LookFantastic has in store for 2017, and hope they continue to send out the Elle magazine. To subscribe to the LookFantastic Beauty Box, go here. LookFantastic ships worldwide. Boxes cost £15 individually, and long-term subscriptions reduce the cost further, with a 12-month sub costing £13 per box. You don't have to pre-pay, and are only charged when the box ships out. These box make perfect Holiday gifts, or treats for yourself!